There are various forms of magnesium and when it comes to sleep issues you’ll want to choose the most effective ones. 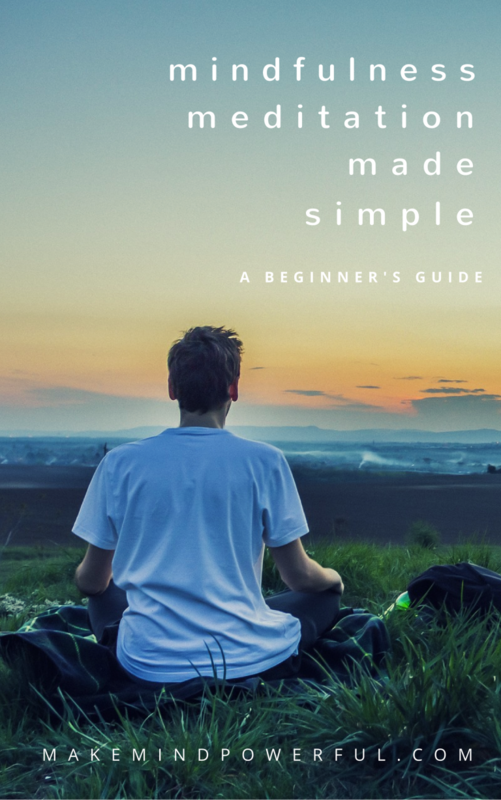 Occasionally, I have problems falling asleep and I’m creating this guide to help you choose the best form of magnesium supplements for sleep. When you’re in the pink of health, you rarely questioned how your body is able to function efficiently. The fact is, Magnesium is one of the key minerals that are responsible for many aspects of your health. It helps to regulate blood pressure, takes care of muscle and nerves function and converts food to energy. You’ll find Magnesium present in various types of foods such as green leafy vegetables, fruits, nuts, seafood, dark cocoa and more. (check out the list here) A healthy level of Magnesium in an adult’s body is around 1.5-2.5 mEq/L (1). Most of the magnesium is stored in the bones with a large portion of the remaining in soft tissues. Some of the signs that you’re lacking in Magnesium are obvious. It starts with feeling nauseous, loss of appetites and vomiting. When these early signs are ignored, Magnesium deficiency manifests in the form of numbness, tingling sensations, cramps and to a serious extent, coronary spasms. Besides physical symptoms, lack of magnesium also leads to degrading mental health. You’ll experience a change of personality, drained of emotion and potentially leads to depression and anxiety. Being one of the most important minerals required by human, Magnesium deficiency leads to a multitude of issues in the body. Taking magnesium supplements on the right dosage consistently will lead to these noticeable benefits on your health. Promotes sleep quality – Magnesium is linked to increased sleep quality and helps individuals with insomnia, as reported in a clinical study. Magnesium can increase the level of GABA produced in the body which reduces stress and makes sleeps easier.When you are stressed and starts losing sleep, the culprit can sometimes be the excessive cortisol, a stress hormone that is responsible for fight or flight situation. Under stressful daily routine, cortisol may be produced excessively and Magnesium can help reduce cortisol in your brain. Reduce anxiety – Studies have shown that people struggling with anxiety has a lower than normal level of Magnesium in their body. Heavy metals like lead, mercury or aluminum are known to be the cause of anxiety when they are present at a dangerously high level in our brain. Magnesium helps to remove these heavy metals from the brain and prevents anxiety. Fights Depression – Life is never a smooth journey and times, crippling depression sets in. Studies have pointed to the decrease in depression when magnesium is incorporated as a supplementary treatment. Promote Cardiovascular Health – Magnesium is one of the best minerals to keep your heart healthy and ensure a regular heart rate. It also reduces the risks of hypertension as your heart is kept in a healthy condition. Stops Migraines – Migraine is stubbornly painful and persistence occurrence could interrupt your balanced lifestyle. Magnesium intake has proved to be effective in alleviating migraine symptoms. Soothe Aching Muscles – If you’re into sports, you know how muscle could ache after a stringent workout. Magnesium plays an important role in disposing of the lactic acid that has built up and pumping fresh blood sugar into the muscles. Of course, taking magnesium supplements is also beneficial for mental health and research has shown encouraging evidence in the effect of magnesium on promoting better sleep. 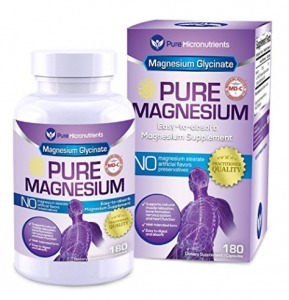 Do consult your doctors if you have any doubt on the right dosage of magnesium supplement. Magnesium Chloride -high absorption rate, soothes skin, usually available in oil form. It’s rare to suffer from any side effects when you are taking magnesium supplement with the right dosage. Generally, a maximum of 350 mg is the limit for adults unless specified otherwise by doctors. Side effects that are often associated with overtaking magnesium supplements are nausea, vomiting, diarrhea, and an upset stomach. More serious symptoms like irregular heartbeat slowed breathing, confusing, and coma may also occur when large dosages of magnesium accumulated in the body. Getting the right magnesium supplement goes beyond brand and price. Here are some points to consider when shopping for magnesium supplements to aid sleep. Forms Of Magnesium – Magnesium is available in different forms and each carries different effects on your health. For sleep, Magnesium Glycinate is the best option while Magnesium Citrate helps promote calmness and is easily absorbed. 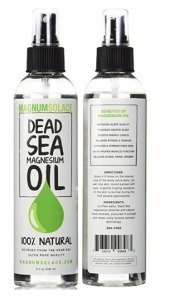 Magnesium Chloride is often available in oil form and can be applied topically for relief. Elemental Magnesium – This indicates the actual amount of Magnesium that you’ll be getting from the compound in the supplement. Brand Reputation – What others say about the supplement manufacturer matters. Checking out feedbacks from happy buyers reduces the risk of ending up with substandard products. Regular local drug stores will normally carry a few brands of magnesium supplements. But if you prefer shopping online, Amazon is a great place to get Magnesium supplements. You’ll get to compare different brands before making a purchase. Magnesium is probably one of the most popular supplements that are being recommended for sleep issues. The abundance of choice could mean competitive pricing or a tedious task to choose the right product. Here’s my pick of the top magnesium brands that have garnered highly positive reviews. As a nutritional product supplier, Natural Rhythm is driven by a very specific objective, to assist individuals in their struggle with sleep Each product manufactured by Natural Rhythm went through stringent testing to ensure no heavy metal contaminations and highly effective for consumers. This supplement by Natural Rhythm contains not only one but 3 different types of magnesium compound to deliver optimal benefits to your health. Besides helping you to relax and get better sleep, the supplement also increases your cardiovascular health and promote the nerves and muscle function. The Triple Calm formula is designed to have minimal discomfort on your stomach and increase the absorption of the magnesium. It is recommended that you take 2 capsules daily to get the right balance of magnesium in your body. ArtNaturals is a leading wellness products brand that believes in the greatness of nature and its healing properties. It aims to bring deliver high-quality and affordable wellness products that are derived from natural ingredients to enrich the lives of individuals. 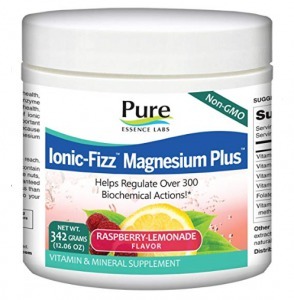 Magnesium absorption can happen without taking tablets. This magnesium oil spray is equally effective when sprayed on your temple and gently rubbed on. Your skin will absorb the magnesium and you’ll enjoy moments of calmness and relaxation that follows. Made from magnesium chloride, it also helps you to soothe muscle pain and reduce migraines when sprayed on the affected area 1-2 pumps twice a day. That is the minimum dosage recommended if you’re just beginning to use magnesium oil spray to compensate for magnesium deficiency. May cause skin irritation for some. Pure Micronutrients prioritize quality over size when it sets to establish itself as a leading supplement brand in the industry. It is best known for its scientific formula that is proven to deliver positive changes in the health of customers. Cost is secondary compared to the level of quality it strives to achieve in each product. 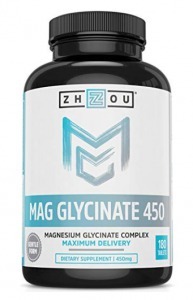 These capsules contain 200 mg of elemental magnesium from the magnesium glycinate compound. They are specially formulated to enhance energy production from the food that you consumed. It is highly effective in helping you to relax by increasing the production of GABA, a neurotransmitter that helps your mind to calm down and make sleep easier. You’ll find that the capsules are easy to swallow as they are made in smaller sizes. 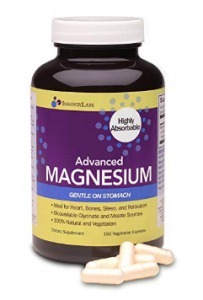 The magnesium will dissolve gently in your intestinal tracts and is less likely to cause any stomach discomforts. It is a pure and potent supplement of magnesium that you’ll want to get rid of insomnia. Pure Essence Labs hopes to bring positive improvements to the lifestyle of its customers by bringing together the wisdom of Eastern traditional medicine and the advanced medical science of the West. The result is a range of exceptional nutritional products that support various functions of your body. This is a form of a nutritional powder that transforms into fizzy health drink once added with water. A single scoop of powder will give you 300 mg of magnesium, and 13 other beneficial nutrients and minerals including Vitamin A,C, D3, B6, B12, zinc, and manganese. It is enhanced with natural lemon flavor and stevia to gives it an interesting taste. Drinking the magnesium fizzy drink made from a scoop daily will help you get rid of sleep issues. Children will enjoy the lemon taste of the fizzy concoction, although the amount of powder must be reduced accordingly to their age range. Great in reducing stress and sleep issues. To achieve greatness in life, every individual needs a partner. Zhou Nutrition position itself as the ultimate partner that supports your journey. It does so by ensuring that each ingredient used in its nutritional products are sourced from the finest farms and strict compliance of standards in its FDA approved GMP compliant facilities. 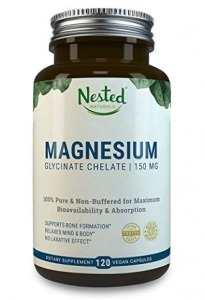 Two capsules of this supplement give you a highly potent dosage of 450 mg elemental magnesium. You’ll want to be advised by your doctor before taking such a high dosage for your prolonged sleep disorder. The high concentration of magnesium works wonderfully to address magnesium deficiency and improves mental health. The capsules are formulated to maximize the absorption of the magnesium by releasing the compound slowly once it entered your gastrointestinal tract. Besides getting better sleep, taking these capsules will also give your heart health a boost. Nested Naturals was founded by a couple of individuals who are trying to get healthier and stronger by tapping into the abundance of mother nature. It differentiates itself in the competitive industry by sourcing top quality ingredients while being environmentally conscious. Honesty is what makes it one of the most popular brands of nutritional supplements. Some individuals may suffer laxative effects when taking magnesium supplement but Nested Naturals brilliant formula has removed this concern. It is digested easily and absorbed into your body with no residues left to irritate the bowel. As one of the most favorable magnesium supplement, it performs well in regulating your sleep cycle and reduces signs of stress. You’ll find your mind eases itself after taking the supplement. At the same time, part of your purchase is contributed to Vitamin Angels, a charitable cause to reduce malnutrition of women and children. Reduces stress and improves sleep. A family’s quest for all natural nutritional products resulted in the founding of Seven Minerals when they decided the best way to get them is to start making the products on their own. It emphasizes simplicity and safety in making products consumable for a wide range of consumers. 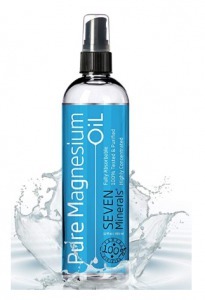 The Magnesium oil spray by Seven Minerals offers an alternative way of taking magnesium if you’re not fond of swallowing capsules. Besides that, it is derived from the ionic state of magnesium, which means your body can absorb the mineral easily at its natural state. 8 sprays of the oil contain 215 mg of elemental magnesium that is helpful in soothing aching muscles or promoting better sleep. Depending on the level of deficiency in your body, it may take up to 3-4 weeks before you start seeing the obvious effects of the magnesium. Helps to relax and sleep. A business that starts in the kitchen experimenting with self-made magnesium supplement, Magnum Solace has grown rapidly and soon moved to a proper manufacturing facility in Texas. Despite that, it continues making high-quality magnesium supplements that work with using ingredients harvested from the Dead Sea. This is another high-quality magnesium oil spray that will soothe you of muscle cramps, migraines and helps your body to relax before you sleep. It undergoes 6 levels of purification in a government certified facility. The oil is odorless, clear and free from harmful contaminants. It is recommended that you apply 4-5 spray on the desired skin area twice a day. The magnesium will absorb to your skin easily and starts having therapeutic effects on your body. At times, you may feel tingling sensations during the first few usages. Helps anxiety and promotes better sleep quality. InnovixLabs was founded by an experienced nutritionist whom’s interest is in supporting the healthy lifestyle of others. Safety and potency are two criteria in every nutritional supplement manufactured by the company. InnovixLabs encourages 3rd party testing to verify that its products are pure and contain ingredients as indicated by the label. These capsules are made from Magnesium Bisglycinate and Magnesium Malate, both easily absorbable to your body. It is highly potent and effective in helping you to get the much-needed sleep by calming down your mind and relaxing your body. The capsules do not contain any traces of magnesium oxide, a cheaper form of magnesium that may have a laxative effect. 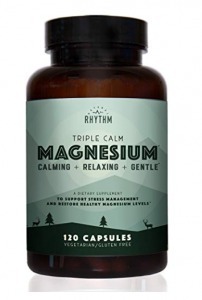 Thus, it’s unlikely that you’ll experience any discomforts when taking these magnesium capsules. Slow-Mag is produced by Purdue Pharma, a giant drug manufacturer that was established in 1952. It is lead and operated by a team of physicians and is constantly innovating medical prescriptions for the professional healthcare industry. 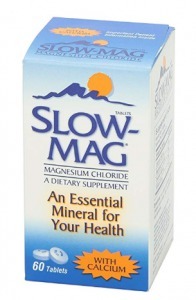 The Slow-Mag tablets are covered with an enteric coating that prevents magnesium chloride from reacting with stomach acid, thus reducing the chances of suffering stomach discomfort. It’s specially engineered formula ensure a high level of absorption rate into the bloodstream. A daily intake of 2 tablets will help in compensating magnesium deficiency, which often results in tingling sensations or cramps. It also helps to calm your nerves in moments of anxiety and encourages better sleep. Enteric coating prevents stomach upset. 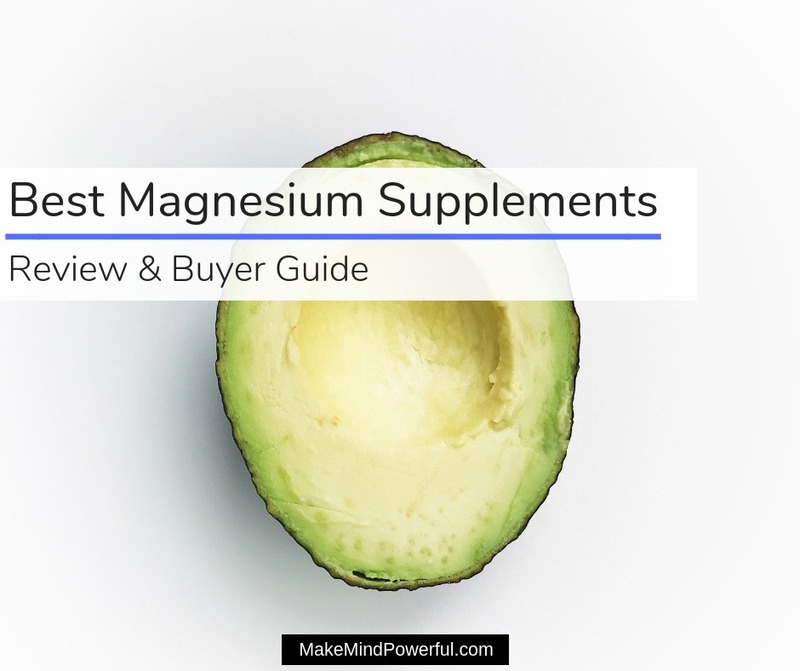 I hope that you’ve found the best magnesium supplement to boost your health from this guide. Feel free to share your favorite choice of magnesium brands and if you’ve found any improvement after taking them.